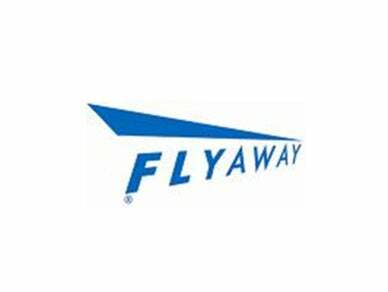 The LAX FlyAway® service operates from Bus Stop 9 at the Patsaouras Transit Plaza at Union Station in Downtown Los Angeles. Passengers should enter on the Vignes Street side of Union Station. Fare is $8 each way. For departure times, visit www.lawa.org/welcome_lax.aspx?id=4696. Parking is available in the Gateway Center Garage, located under the Patsaouras Transit Plaza. The entrance is on Vignes Street. The daily rate is $6, with a 30-day limit. Payment is accepted using cash and major credit cards (Visa, MasterCard, and American Express). The parking garage is patrolled regularly by security officers. Passenger drop-off / pick-up: Motorists entering the Plaza should turn right and proceed counterclockwise around the plaza to the designated loading zone area on the west side of the loop. Vehicles can only stop to drop off or pick up passengers in this area, which is located between the “Passenger Loading Zone” signs on the brick pillars to the left and right of the glass entrance doors to Union Station. Stopping is not allowed at any other location in the Plaza.